Verizon Communcations Inc. has been founded in 1983 as Bell Atlantic. From Yahoo! 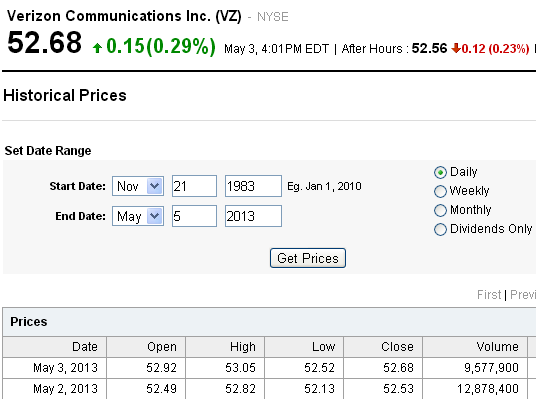 Finance you can download VZ stock data back until 21 November 1983.